Then the merry-go-round stops. The dream factory dies. It sits alone, becomes squalid. Its plaster rots and its grand facade chips, its halls of fantasy chink open to daylight, and depredation rolls in. 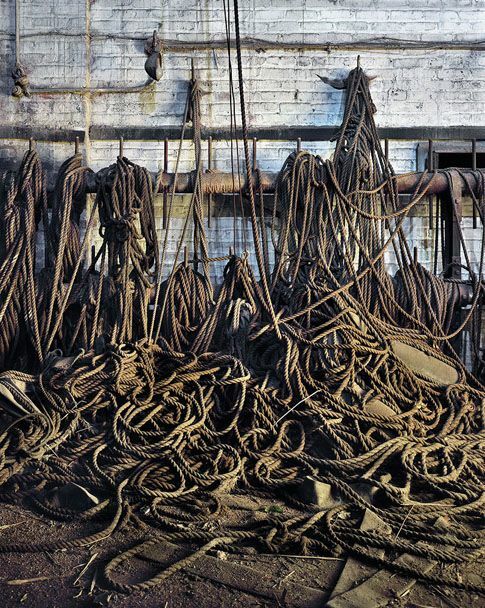 These are images from Yves Merchand and Romain Meffre. 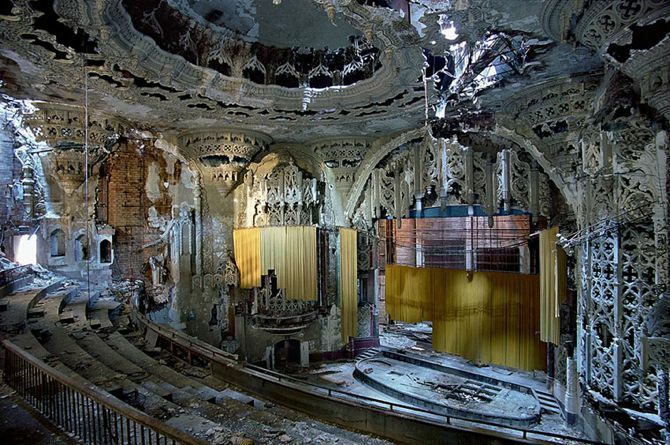 They also have some great photos of the ruin of Detroit. There might be a few abandoned or soon to be closed theaters here in Saint Petersburg. It has a very old downtown with an area of rundown businesses. I’ll have to do some investigating someday. No source links for the photos are appearing for me. 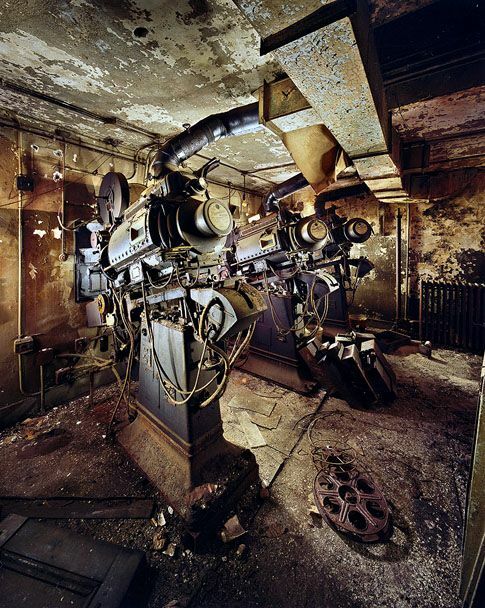 I wanted to see more work by the photographer who made the projector image, a very well lit photograph. Jason- The link is in the last block of text. I bet you could totally find this sort of thing in Florida. The Palace Theater in Syracuse, NY is now privately owned and completely restored. Its a great place to see movies! Excellent shots! Proctor’s Theater is in Newark? 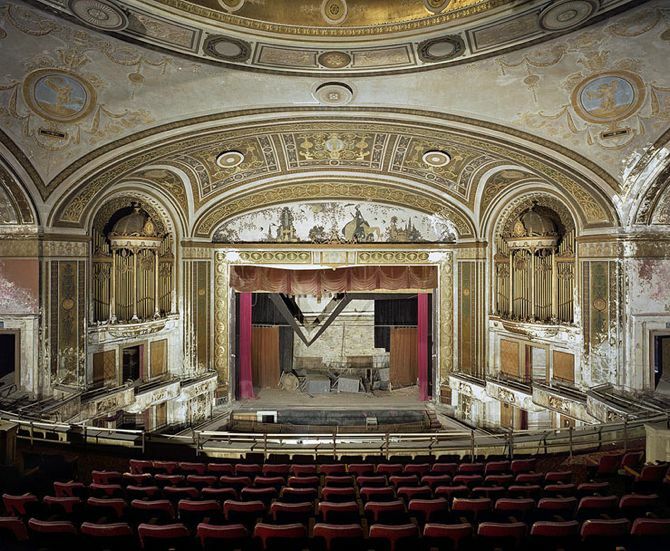 The photo labeled as the Palace New York is actually the Leows Palace theater of Bridgeport, Conn. 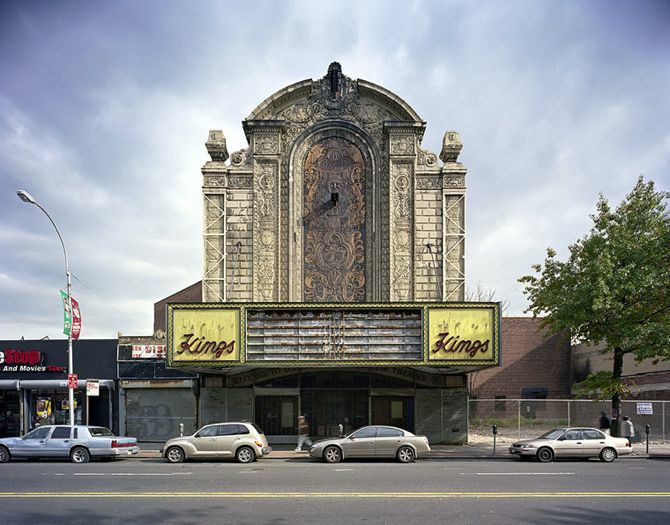 It is one of two “twin” theaters built in the 1920’s for the Poli theater chain. The other theater is the slightly smaller Majestic theater. The two theaters are unique in that they are located in the same building. The only other surviving example of this that I know of is in Cleveland, Oh. They are in an area which boasts 4 classic movie palaces, all restored under the same project. 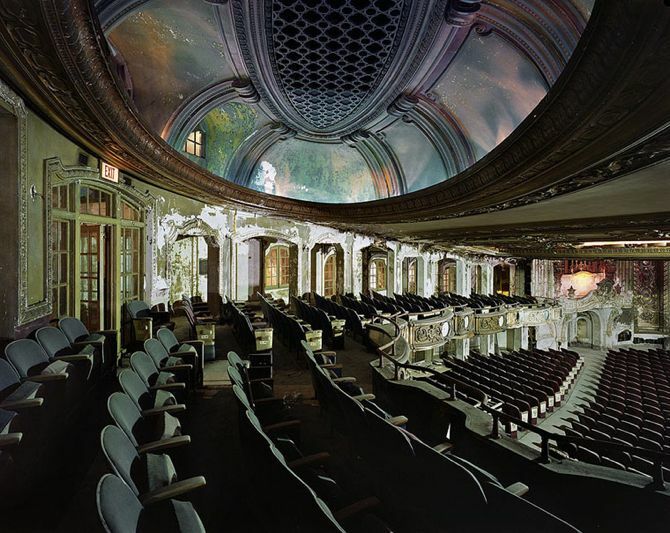 Also, the Palace theater was the largest theater built in Conn. in the 1920’s. The architect was Thomas Lamb. That’s correct. I live in Bridgeport, CT. I now am part owner of another restored movie house in the city about 2 blocks from these beautiful houses. There is talk now (as there has been for years) of restoring these two jewels. Please give credit to the city that needs it. I live in CT, do you know if by any chance there are any Haikyo places here? im still a student but im very much interested in going to these places more mainly in japan but for now I want to start off in area’s closer.